Due to numerous inventory management questions and concerns with improper tracking and loss of products, we decided to provide our beloved readers with some valuable information about the subject matter. Fluid management systems can help prevent inventory losses, while simultaneously facilitating every transaction. I have chosen two different brands and four different products to compare and highlight the specifics of each one in our blog. First we have Piusi’s MC Box, at the lowest price point it is avery complete system. The unit can store up to 120 users with a code set up for each user. The MC Box is meant to manage one fluid; therefore it is designed for one hose attachment. It is compatible with any fluid type, and the corresponding pulse meter and pump must be added according to the specific type of fluid. 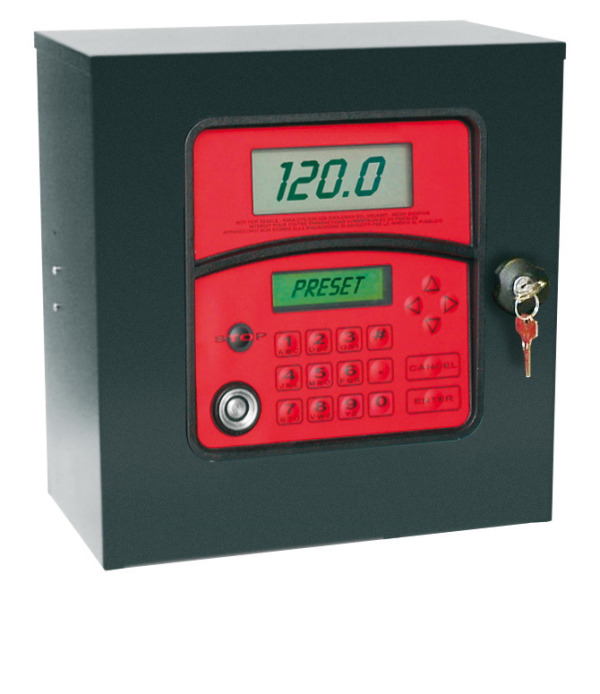 The MC Box comes in two formats, either 120 V or 12 DC, so it is very versatile for the different needs of each user. Aside from the MC Box itself, there are different upgrade kits that can be added to enhance it performance, depending on what is needed. The PC interface Kit comes with 1 USB converter and 1 CD with the PC Software. The USB converter is used transfer the data from the MC Box to the computer, and the software it’s Piusi’s software, which is needed to keep track of the information stored by the MC Box. If buying the MC Box, this kit will be needed if you would like to download the User History to your computer. Next we have the Key Kit, it comes with 1 USB, 1 manager key, 10 user keys, 1 key reader and the PC Software. It is called the Key Kit for a reason right? The keys are an alternative to using Pin Numbers, which some might prefer. The 10 keys can be given to the most frequent users or used at the owners’ discretion. Last, we have the Wi-Fi Kit, with 1 Wi-Fi Box, Wi-Fi transmitter and PC Software. This kit would be important for anyone who prefers a wireless system. It is important to note that the Piusi software can manage up to 16 MC Boxes. This is significant because even though each MC Box can only track one type of liquid, the software can manage more. This might be useful if you are a growing company and might be adding different types of fluids, for each type of fluid a separate MC Box would be needed, along with a separate pump and pulse meter. Overall it is a very complete system, it can be adapted to fit your specific requirements and those of your customers. It is affordable and a great unit to start out with. Depending on your use, the MC Box might be all you ever need. If you demand a system that will allow increased user and transaction capabilities, the Wonderbox system will provide many benefits. The Wonderbox can track up to 2000 users, and store up to 10,000 transactions for later transfer. Just like the MC Box, its featured for a single hose fueling point that can handle any fluid with its proper pulse meter and pump. The Wonderbox is user friendly, with USB, LAN and WIFI capabilities. The Wonderbox has a very simple operation, their computer software is easy to follow and it comes included with the system. Drivers can be given a standard PIN code or a key fob, and can be identified by user ID, vehicle ID, and odometer and time frame intervals. Wrapping up, it is easy to say the Wonderbox is customizable and extensive when it comes to features and flexibility. The Wonderbox is great for medium sized operations, needing to manage 1 fluid but with many users and vehicles. An upgrade to the Wonderbox is its big brother the Superbox. The Superbox can handle up to 5 fueling points, which is a great improvement to the already versatile and compact Wonderbox. The computer software is the same as well as all the available features. 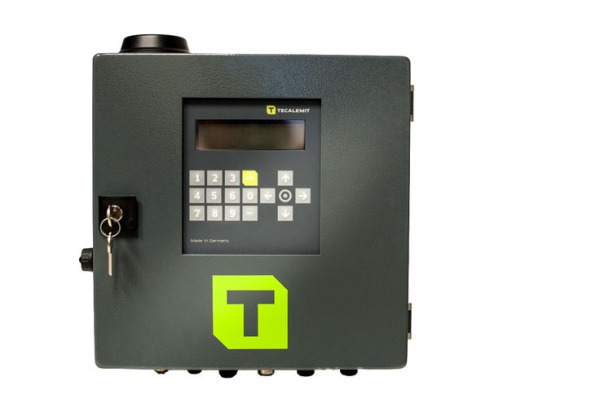 The key to the Superbox is, a one-box setup for up to 5 fluids; so instead of having to buy multiple boxes, the Superbox can handle several fluids and have all the information go into one place. Not only does this mean less work, but also an improved organized structure. Just like the Wonderbox, it can handle any fluid with its proper pulse meter and it is printer receipt capable and can track current tank levels as an additional feature. 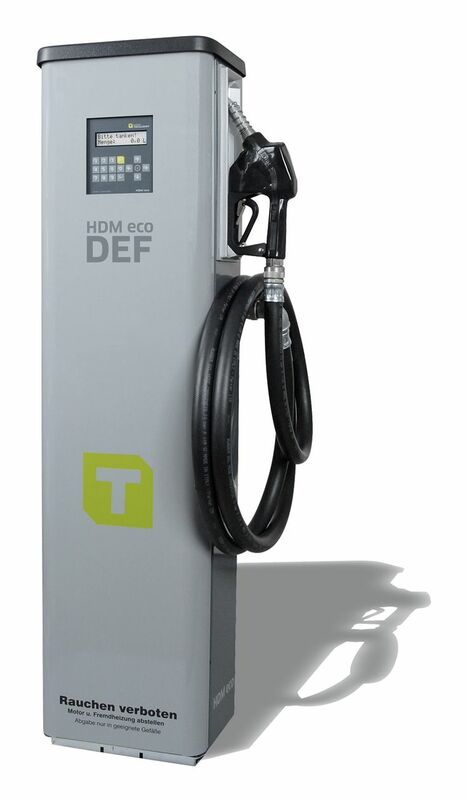 Next in line we have the HDM Eco, available for either Diesel or Diesel Exhaust Fluid. The HDM Eco is kind of a big deal, for those looking for a complete system, it includes everything you will need to set up and start your station. Not only does it save time, headaches and installation costs, this piece of equipment is easy to use, effective, and very nice to look at! The HDM Eco comes with a Wonderbox management system, a German Hornet pump, nozzle, pulse meter and a cast aluminum housing structure. It operates at 22 GPM in the Diesel model and up to 15 GPM in the DEF model. It is extremely easy to set up; you will need a standard 120V line to power it up, and a suction line to the product. Once the unit is live, then it needs to be programmed with the uploading drivers, vehicles, etc. just like the Wonderbox and Superbox systems. It does not work with WIFI yet, but we are hoping that feature will be available soon. Overall this unit would be great for a retail station, or for someone looking to get an all in one package. As always Transliquid Technologies is here to keep you informed in order to make the best buying decisions. If you have any questions in regards to the equipment mentioned please post a comment, or give us a call.